Mark Wonder, born Mark Andrew Thompson in Kingston, Jamaica, is truly a Jamaican wonder. Although Jamaica has no shortage of roots singers Mark Wonder is a musical force that must be reckoned with. He has been blessed with an awesome musical talent. His powerful and infectious vocal delivery and master song crafting cannot be disputed. One can simply not resist singing or rocking to his quality creations which have a universal appeal whether he is praising the Almighty, chanting revolutionary songs laced with social commentary, or keeping the fire of the ancient ones ablaze. His joyful expressions and contagious love songs are also exemplary of the breathtaking quality and range of this amazing and gifted singer. Mark Wonder was influenced by his mother’s love for music and her record collection that included the great early R&B classics of The Impressions, Sam Cooke, Otis Redding, Marvin Gaye, Aretha Franklin, Smokey Robinson, Patti Labelle and Stevie Wonder from whom he has adopted the name “Wonder”. 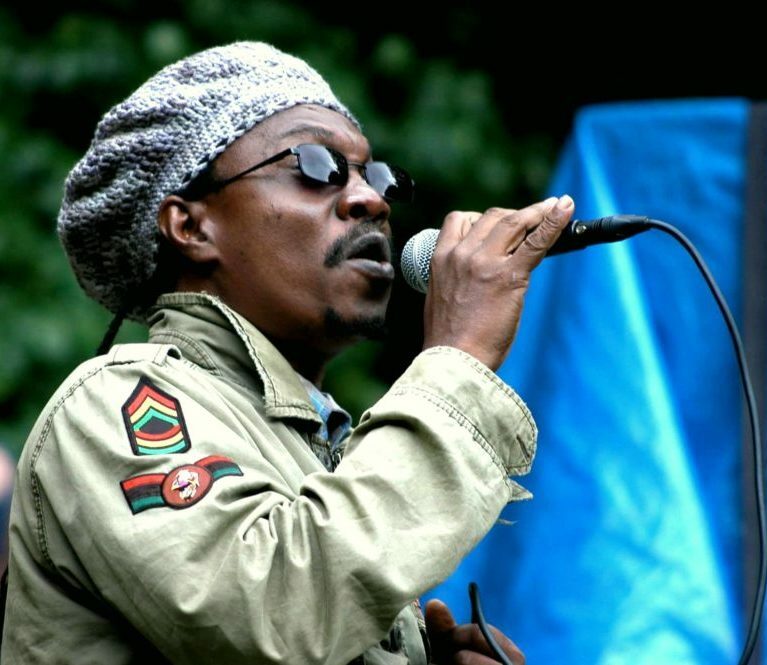 He was also influenced by foundation Jamaican music from artists like Burning Spear, Alton Ellis, Marcia Griffiths, Bob Andy, Heptones, Ken Boothe, Black Uhuru, Beres Hammond, Third World, Barrington Levy, The Wailers with Bob, Peter and Bunny, and Dennis Brown who in particular inspired him to become a singer. He developed his craft around the sound system in and around his community. From there he got the opportunity to go to the recording studio. King Jammy was his first stop where he did one recording. Not getting enough attention he moved on to neighboring Black Scorpio which eventually launched his recording career. “Caution” was his very first vinyl single. Then came “Girl I Love Your Style” and “A We Rule” – all on the Black Scorpio imprint. A string of singles followed on other small labels and Mark was on his way to realize his vision. He has grown tremendously creating a unique style of his own and is now considered one of the best vocalists in roots reggae. Even Jamaica’s Daily Gleaner newspaper took notice and has described him as “a sound very reminiscent of Garnet Silk.” But Mark sees himself as just another instrument and considers it always an honor to blow the trumpet in a vocal tone. This son of the Tribe of Levi continues to record for many labels and has forged respect and admiration from established and budding international roots labels such as Al.Ta.Fa.An, Addis Records, Bobby Digital, Soundproof Productions, Special Delivery, Pow Pow, World-A-Music, 321 Strong and Acoustic Vibes with whom he coproduced quite a few impressive singles with other artists. Mark has done several collaborative recordings with prominent reggae artists from Sizzla to Germany’s number one reggae artist, Gentleman. Mark has recorded several albums to date which include “Signs of the Times”, “Jeremiah”, “Break The Ice”, and a live album which was recorded in 2001 in Switzerland titled, “Mark Wonder Live at the Couple with Special Guest Prince Theo and the New Land Band.” “Break The Ice” brought out the powerful single “Rainbow Child”. Now Mark Wonder has started his own imprint, Battle-Axe Productions, and set his sights on controlling his own music. “Victory-The Mystery Unfolds”, his first project, is a masterful and well-crafted production decorated with lush horns and arrangements. The potent lyrical vibrations touch a range of issues including social commentary. Mark has widely toured Europe where he has steadily been building a solid fan base. In the U.S. he has created a huge impact especially on the West Coast, receiving tremendous response and rave reviews for his wonderful vocal styling and energetic live performances.